If you are a gym rat, an athlete or a professional bodybuilder, you have definitely come across BCAA. Why? Probably, you were on a lookout for supplements to add sauce to your workout. Without a doubt, Branched-Chain Amino Acids is a great supplement for muscle growth, repair, and recovery. It can yield awesome results when taken in the right dosage and on time. But, when is the right time to take BCAA? Are you unable to figure it out? Don’t worry, read on to find out when to take BCAA. Branch-Chain Amino Acid is a three in one amino acid. It constitutes 35-40% of the essential amino acid for muscle mass. To be precise, it accounts for one-third of skeletal muscle protein in a human body. The three essential amino acids in BCAA include Leucine, isoleucine, and valine. They all play different roles to ascertain great performance. Want to know how each one of them is essential? Let’s take a look. As far as performance is concerned, it outshines the other two (valine and isoleucine). Actually, Leucine is great for protein synthesis. It pops in just in time, during a workout, to increase protein synthesis and enhance energy. When taken, it also promotes muscle growth. Aside from being an anti-catabolic agent, isoleucine aids glucose intake and consumption in the body. In so doing, the glucose is automatically used rather than being just stored in the cells. It also boosts energy especially when you are exercising in a fasted state. Although there is little to say about this amino acid, it is still beneficial. When taken during workouts, it can prevent fatigue. How? Valine produces serotonin, which is responsible for reducing fatigue. Also, somewhat, it can stimulate protein synthesis, but not as potent as leucine. Want to hit the gym? First, take a sip of BCAA to prevent muscle break down. Sure, proteins and the right amount of carbs will give you the stamina to jump-start your workout. Nevertheless, you still need something extra to give you that extra push. BCAA supplements can definitely help you get that burn. BCAA just don’t add a bunch of nutrients to your body, it supports protein synthesis which boosts your strength. Plus, with build-up energy, your endurance is increased. In the long run, you get to improve your workout performance. When you take BCAA during training, you not only reduce fatigue but also obtain the energy to push harder. Ideally, you only need to add 5g-10g of BCAA supplement to your go-to workout drink. A sip of this drink will nourish your muscles as you exercise. As you lift the heavyweights your muscles go through wear and tear. Therefore, you will need a boost to repair the muscles and speed up recovery. Taking enough rest and a night of quality sleep can help in muscle recovery. However, for fast recovery, you need the best BCAA supplement. It will reduce soreness and help you to be fit enough for your next workout session. There is absolutely no harm in taking BCAA before sleep, especially if you are trying to cut weight. It will help you burn the fat. However, don’t mix BCAA with caffeine, unless you want to have a long rough night. Taking 1-2 scoop of this supplement before bed will also promote muscle growth and recovery. Why is Timing so Essential? Honestly, why would you sit down and contemplate the best time to take BCAA? Like really? Is it that important? Of course it is! For the best workout results, you need to consider the proper time to take BCAA. Actually, the key to maximizing your performance is, knowing the best time for taking BCAA supplements. They say; a good plan with a perfect time-frame yields great results. BCAA is also no exception. When taken at the right time it ensures the following. It prevents soreness especially after lifting heavy weights. This is why it is recommended after workouts. BCAA will give you the boost to achieve your workout goals. Whether you want to attain focus or build more muscle, you can still achieve that, only if you take the right dose. You will nourish your body at the best time. Releasing nutrients to your body at the right time is the way to go! Your body will still be able to keep a good amount of energy. In that, you won’t exhaust all your energy and get out of the gym feeling all worn out. BCAA will help you manage sleeping disorders especially sleep apnea. It releases certain chemical to the brain, which stabilizes the sleeping pattern. Why bother adding BCAA to your workout regimen? Are BCAAs worth the time and energy? Absolutely yes! Getting a lean body takes more than intensive training and a good diet. Your meal plan will not give you sufficient calorie needed to sustain your body. Leucine, valine, and isoleucine are ‘essential’ amino acids; however, they can’t be naturally produced by the body. So, incorporating best BCAA in your diet will help you get the extra nutrients required by the body. BCAA is capable of preventing muscle wasting especially when you are trying to lose fats. Also, it supplies your muscles with sufficient energy. Thus, using BCAA for your training, post-workout or pre-workout is never a bad idea. Should You Take BCAA When Not Training? Is it ok to take BCAA on an off day? Well, it all depends on whether you are cutting or bulking. To be specific, it depends on your workout goals. If you are cutting, you can go right ahead and use BCAA when you are not training. It will help you get rid of the fat and get lean faster. On the other hand, it’s neither necessary nor recommended to take BCAA when bulking. Even though, some will say, it helps preserve muscle during the no-workout period, it’s not compulsory. You only need to take great meals rich proteins like; fish, milk, beans, eggs and various seed and you are good to go. Proper timing can’t generate intended results without a proper dosage. Before incorporating BCAA in your diet and training plan, you need to be aware of the recommended dose. If Branched-Chain Amino Acids Supplement is taken wrongly, it can’t yield good results. Plus, some may even experience some sudden side effects. People have different opinions on the right dosage. But, here is the thing; the amount of BCAA to take depends on your body weight. Basically, you only need to take a dose that complements your body weight. Also, your workout goals will dictate your BCAA dose. For BCAA powder you can take at least 5g per day. The maximum dose should be 20g especially for athletes. The tablets dosage depends on the manufacturer recommendation. Therefore, you only need to read and follow the instructions before taking them. Even though BCAA comes with a number of benefits, if used incorrectly, the benefits can be counteracted. So, you need to be extra cautious about when to take bcaa powder? Here are some things you need to consider before taking this supplement. First, consult a health expert or better yet a doctor before taking any supplement. It doesn’t matter whether you are thinking of using whey, Branched-Chain Amino Acids Supplements or generally any protein supplement, consult a health specialist. Are you still breastfeeding? If so, avoid Branched-Chain Amino Acids Supplements at all cost. It is absolutely not safe to take supplements especially when you are pregnant or breastfeeding. If you are on medication, you also need to be careful when using supplements. If you take BCAA powder especially before undergoing surgery, it can spike your blood sugar level. For people trying to fight chronic alcoholism, Branched-Chain Amino Acids Supplement is not safe to take. The supplements will only worsen the problem. It is also not safe for children especially infants, as leucine can lower the sugar levels in their blood. When taking BCAA, go for all natural products. Yes, exclusively natural! No synthetic or un-natural flavors. Why? Synthetic products are often linked to health-related problems such as diabetes and cancer. You won’t want to be associated with these kinds of health issue, do you? Check the ratio of your BCAA powder. An ideal ratio is always 2:1:1 (leucine, isoleucine, and valine) in that order. The idea that BCAA supplements with higher ratios will give you results ASAP, Is just but hype. The ideal choice is the gold standard ratio which is 2:1:1. There is always uncertainty when it comes to the right supplement combination to make. The confusion exists and it seems to never end. Why? Everyone has his/her opinion to air out. The truth is; a healthy combination with a proper balance can provide incredible results. If you are a workout enthusiast aiming for better performance with a great supplement combination, consider the below combination. A great way to start your morning workout session is to take BCAA and creatine. These two combined, are ideal for morning exercises and pre-workouts. Even though BCAA can synthesize proteins on its own, combining it with creatine is also a great idea. For even better results, add cabs when taking the two to ensure maximum absorption. Beta-alanine is a naturally occurring beta amino acid. It is known to increase the level of carnosine in the skeletal muscle. It is best to take BCAA and beta alanine during workouts. The combination can reduce fatigue, especially when working out. Did you know that glutamine account for 61% of your muscle? Well, you now know. Glutamine is not just a mere supplement, it is found naturally in the human body, specifically the muscle. If it’s already in the body why bother buying? Under pressure, your body can’t produce glutamine naturally hence the body will need to supplement. If you have an issue with your immune system, try using glutamine. Combining the two will enhance muscle recovery. Tip: you don’t need to buy the two separately; you can just buy BCAA products like scivation xtend powder, which has both in it. Should I take whey protein and BCAA? No need! Whey protein already has amino acids; therefore, there is no need to combine the two. It is just a waste of money to buy the two separately. They still mix well though. Bottom line; choose one to reap whatever results you anticipate. 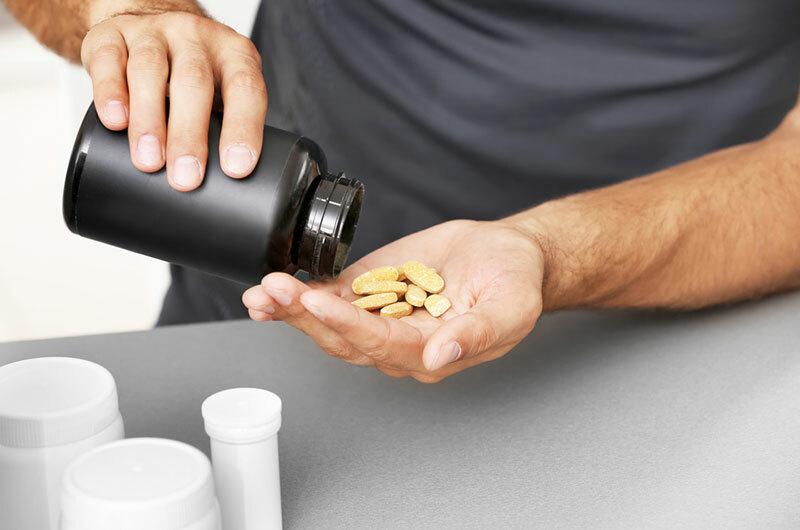 As much as Branched-Chain Amino Acids Supplements is often recommended to athletes, the supplement can be taken by anybody aiming to either shred or cut. With unique chemical properties, it is capable of supporting recovery, building muscle and increasing performance. You only need to take Branched-Chain Amino Acids Supplements correctly for good results. Remember to be flexible with your intake and avoid overdosing. Also, keep in mind that you require more than the three amino acids to sustain your muscles. Ideally, a human body requires nine essential amino acids, but Branched-Chain Amino Acids Supplements can only provide three. To stay healthy, consider other sources of proteins to get the extra six amino- acids. Do you supplement with BCAA? When is the best time to take Branched-Chain Amino Acids Supplements? Is it during workouts, after workouts or while taking your meals?